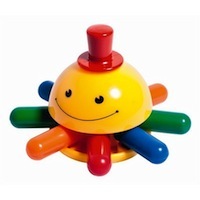 A spinning, rattling and teething toy all in one! Spin Oscar’s body and shake his movable arms. The happy octopus can also be played with in the bath.